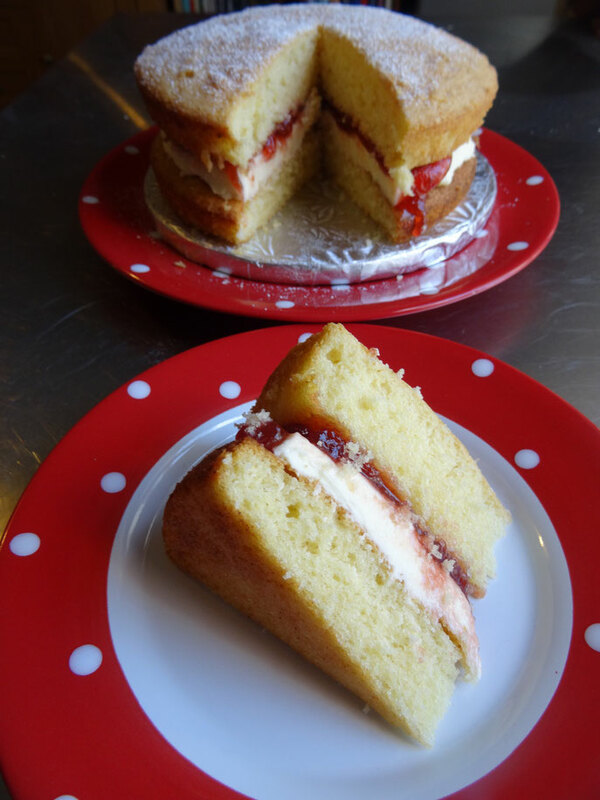 A tea time classic, with lots of buttercream & strawberry jam, what's not to like?! 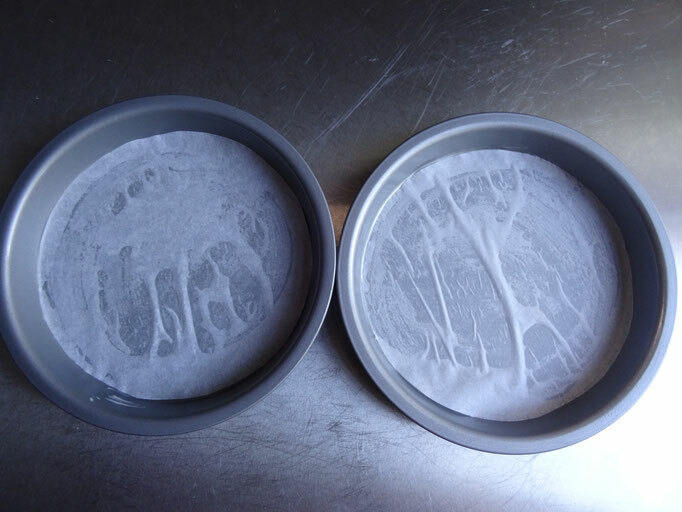 Rub the inside of 2 sandwich tins with a little butter & place a circle of greaseproof paper in each. 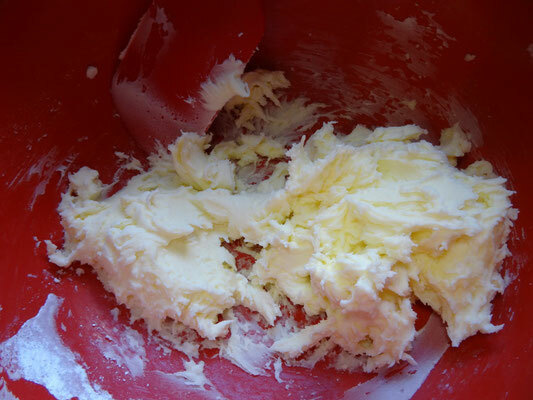 Beat together the butter & sugar until pale & creamy. 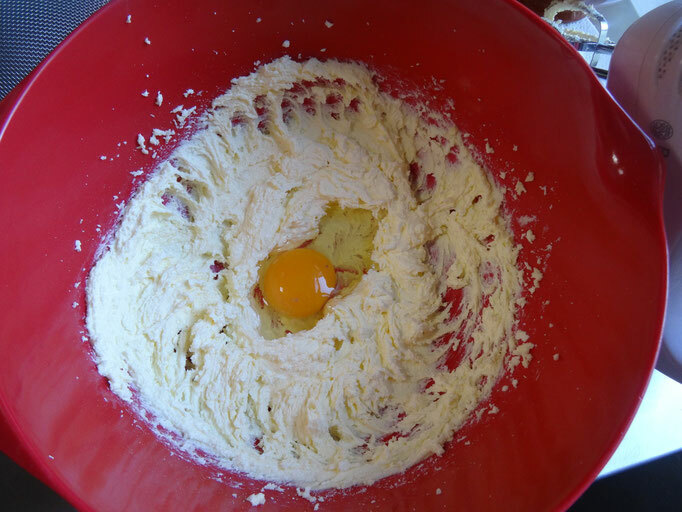 Add the eggs one at a time & stir after each one until smooth. 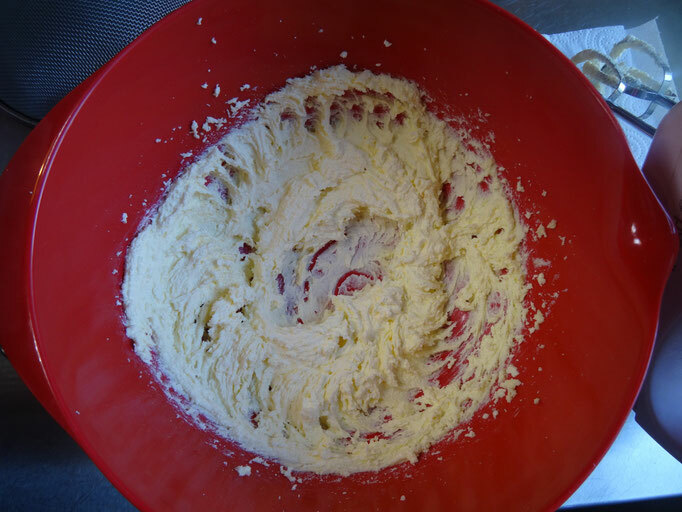 Add the flour & stir gently until thoroughly mixed. 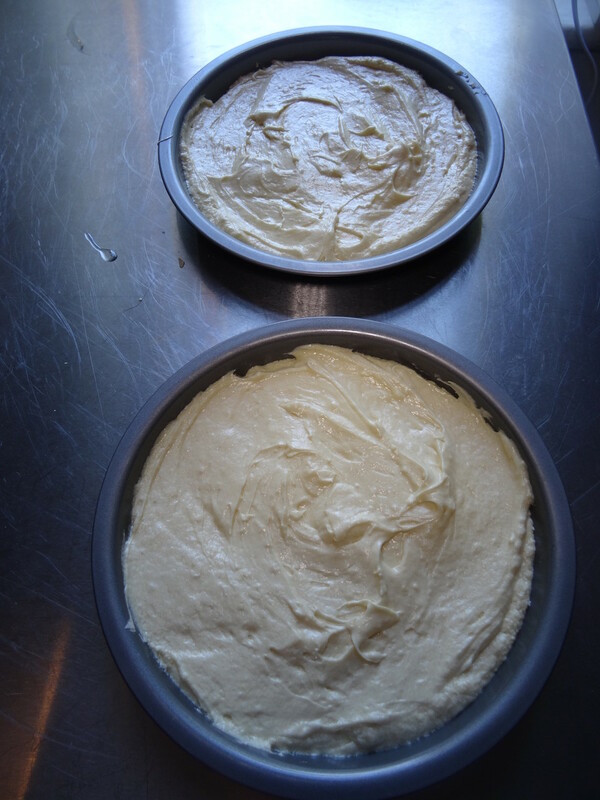 Divide between the tins & level with a spoon. 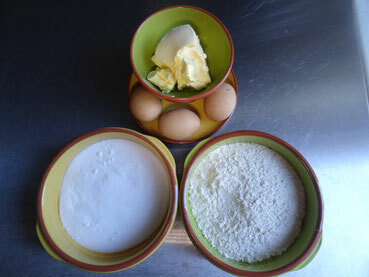 Bake for 20-25 minutes, the cakes should be well risen & springy to touch. 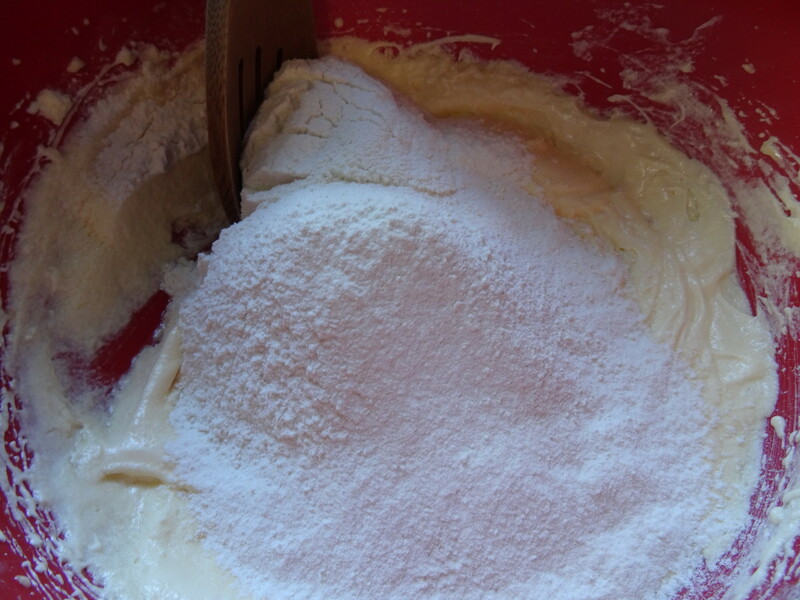 Sift in the icing sugar & mix well. 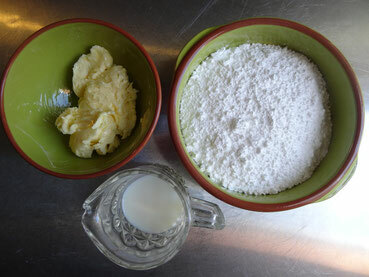 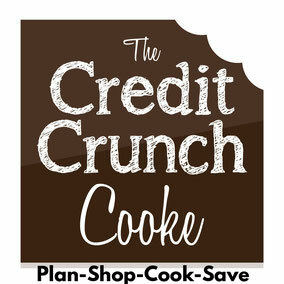 Add the milk a little at a time & mix until you have a smooth spreadable paste. 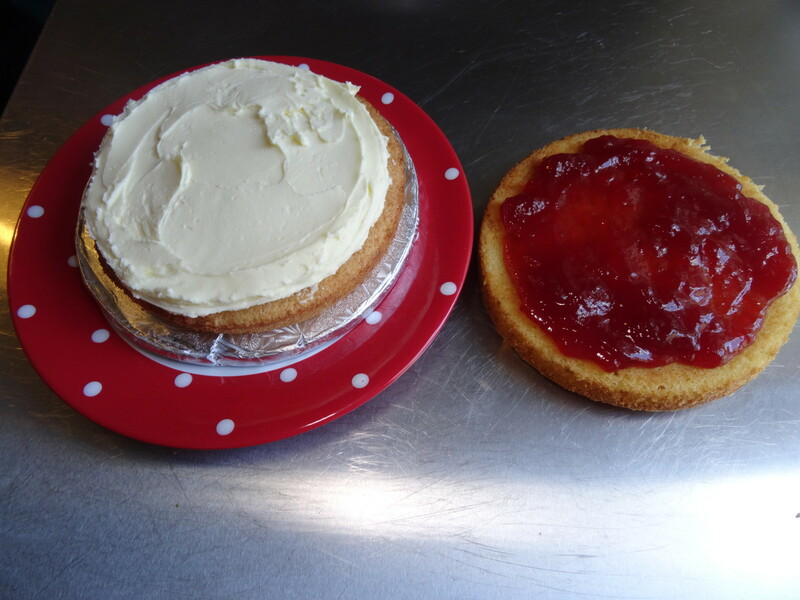 To put the cakes together, spread one of the cakes with jam & the other with the buttercream then carefully place one on top of the other & press down gently.